There’s no area of business that needs the perspective of objective legal counsel more than contract disputes. An experienced attorney can tell you when it’s possible to negotiate and avoid time-consuming and expensive litigation and when it’s time to take the matter to court. Call us at 513-852-5600 right away. Nondisclosure agreements: These are contracts in which the parties agree to treat shared information as trade secrets and to not disclose it without permission. Sale of goods agreement: This contract stipulates the product or products to be sold to one party at a predetermined time and price. These traditionally also includes provisions that allow for remedies to the buyer should the seller breach the terms of the agreement. Employment agreement: This is an arrangement that specifies the conditions of the relationship between an employee and an employer, including compensation and expectations. Shareholder agreement: This is a contract between the shareholders of a corporation, detailing their rights, privileges, protections, and obligations. These agreements also normally include the corporation’s articles of incorporation and its bylaws. Non-compete agreement: This is an agreement between an employer and an employee where the employee agrees not to enter into competition with the employer after their term of employment ends. Disagreements between business partners can vary widely. Our commercial litigation attorneys will look out for your best interests, double-check current contracts, obligations and liabilities, and confirm your compliance with standard dissolution requirements. 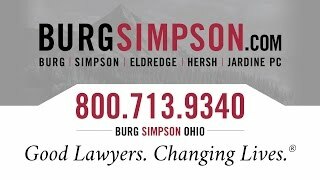 The Cincinnati attorneys at Burg Simpson bring a level of experience and confidence to your negotiations so your company can work through disputes before they make it to a courtroom – if possible. But when negotiations stall and trial is unavoidable, we will take your fight to the courtroom. 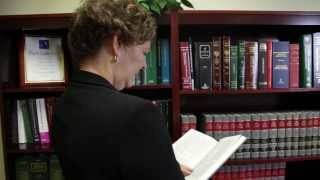 Call a litigation attorney before you begin any contract discussions at 800-318-9815. Please fill out the case evaluation form below and Submit Now, or call Burg Simpson directly at 513-854-1761 today, to speak with a Commercial Litigation Attorney.